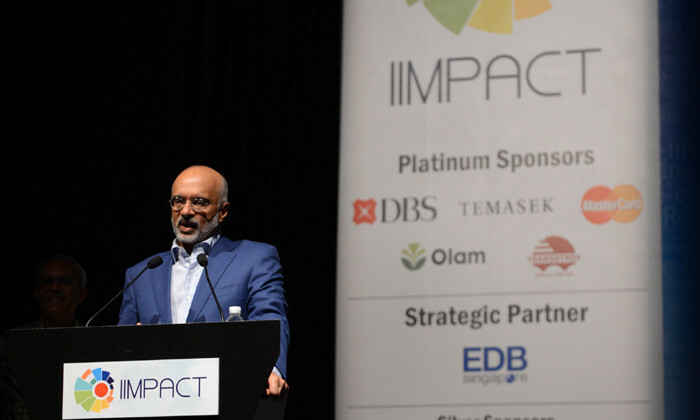 An exclusive interview with one of the region’s seniormost leaders, Piyush Gupta, CEO of DBS Group, reveals his vision of a digitised workforce, and his expectations from CHROs. Having taken up banking post graduation, what do you enjoy most about being a banker? There are a couple of reasons why I joined banking. Contrary to popular belief, you don’t have to be a finance major to be a good banker – it requires strategic thinking, people skills, and an appreciation of macro-economics. It’s a very good discipline for general management, and that appeals to me because it plays to my strengths. In particular, it relies a lot on an understanding of macroeconomics, and the correlation between growth, inflation, and therefore development and economic policy. That’s where my economics undergraduation comes into play as well as a whole range of broad skills. Prior to joining DBS Group, you spent close to 27 years in Citibank. What prompted you to move DBS? In Citibank, I had pretty much reached the top of the totem pole in Asia, so my next move would have required me to move to New York. From a personal standpoint, we were quite keen on staying here and making Asia our home. It’s always a different opportunity to be the CEO of a reasonably-sized, listed company. The buck really stops with you, so you have the capacity to fashion a set of things which you couldn’t have done if you’re not the CEO. Most importantly, I found DBS to be a really attractive platform – financially strong, good capital, and in the right part of the world. It seemed to me there was the opportunity to create something quite special. When you put all of that together – my personal considerations, the opportunity to be a leader, and the platform that DBS offered – they all came together quite nicely. Under your lead, DBS has won a number of achievements. How does the leadership team set a culture to encourage employees towards these? If I had to choose two or three of the things we do as a leadership team, one would be getting a high level of strategic alignment in the company. The idea that every employee must share a vision and sense of direction is very important. We spent a-year-and-a-half capturing that strategy, but more importantly, making sure everybody buys into it and understands their role. A lot of companies run a balanced scorecard. We use it as a living document to get alignment around individuals’ goals and KPIs to the company’s overarching policies. The second thing we focus very hard on is creating a unified culture, which marries the old DBS culture, i.e. very collaborative, and a true set of purpose; with two more elements – entrepreneurial thinking, and having fun. This starts from the belief that you spend most of your day in the company, and if you don’t enjoy your work, you will never put your heart into your work. So we try to make everything fun for people, whether it is the premises, the working environment, or an opportunity to grow. Speaking of fun, DBS is the first bank to organise hackathons for employees, and you are also starting a university to groom banking talent. How closely do you work with the CHRO? Very closely. For me, most businesses are fundamentally about people. I call it HR IT – if you get the human resources and information technology right, you can run a very good company. Therefore, I’m deeply involved in the HR agenda – where we find people, how we identify talent, how we retain them. In fact, all of our businesses are. To me, these are business issues, not HR issues. The reason we created the hackathons is because the future is all about digital and it was my strong belief to create a broad-based digital mindset among our people. You can’t create a digital mindset by teaching people on a whiteboard, but through experiential learning. So we came up with this idea of hackathons as the best way to give people a sense of confidence, erode their inhibitions and get them to a tipping point of both knowledge and confidence. A large part of our learning agenda, whether it’s the DBS academy or the learning curriculum, is all targeted at allowing people to discover themselves and grow in the company. You’ve spoken about the digitalisation of the banking industry and how computers might be able to do a better job than humans at advising people on their finances. In line with that, how do you anticipate the banking industry workforce to change? I think it will change in banking as it will in other parts of our lives. The profile of people we hire now is increasingly different. We want people who are tech savvy, design savvy, data savvy, people who understand customer experience – so it’s a fairly different profile, and as we go forward, this will continue to change. At the end of the day, a bank is only going to be a summation of the customer journeys you can put together; so people who are deeply immersed in that will be the profile of the future. I also believe, however, it’s not only the new kids who can do that, you can train people in this. As part of our hackathons, we take mid-career people in their 40s and 50s to reimagine the kind of skills they need to be successful. 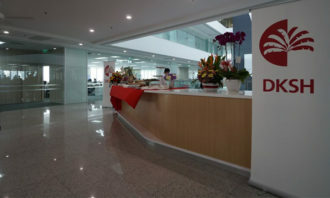 What are some of DBS’ most significant HR campaigns? We have one campaign called Two Plus Two, which means if you finish two years in your job, then you can look for an internal move and your boss must release you in two months. This creates a mindset that there’s no stigma in looking for another role. We have another campaign called Five and Five, which says you don’t have to sit at work late when you have nothing to do. On the fifth day of the week (Friday), I insist that people go home at five o’clock, spend some time with their family. There’s no point just hanging around for longer. We have another campaign called DBS Cares, which is a set of benefits, wherein you can take a half day leave on your birthday or have flexi time. 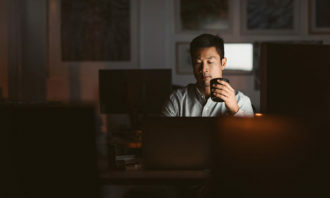 With a view for the future, what can CHROs do today to help the future workforce? The HR function can do broadly two or three things. One is that it can reinvent itself – as digital opportunities are changing, they can change their jobs. Things like how you administer HR, how you make it relevant to the Millennials. It has to be completely digitised. For example, we now put all our HR on an app. 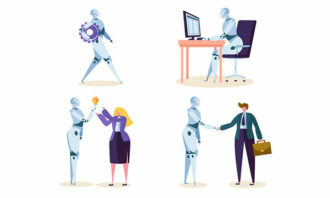 Second, HR has to be very focused on what the company is doing to digitise itself – so it needs to look for where to recruit the new kind of people, what kind of development and training to give them, and how you create an overall system of engagement. The Millennials don’t operate on a command and control system, they want to operate on a network system where there are opportunities to contribute and work differently. It is up to HR to create the tools, artifacts and the culture to make the company a thriving place for the new generation of workforce. I understand that you are also the deputy chairman of SPRING Singapore. With all the work around lifelong learning, how do you think line managers can encourage upskilling of employees? I’m convinced that people management is not an HR function, it is a line function. As line managers, you have to be able to give your employees experiential opportunities, the time and confidence to experiment. One of our biggest challenges in Singapore is that people are wary of taking risks, there is a high fear of failure. At the same time, as you move towards to digital, there are a lot of inhibitions, people are scared that things will go wrong. It is up to line managers to create confidence, the room to experiment, the room to fail and the opportunity to invest in some of these things.